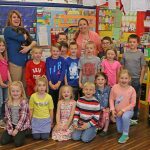 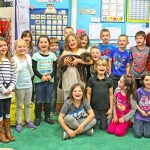 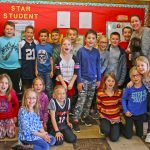 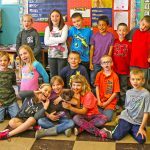 The halls and classrooms of Bellville Elementary flirted with the wild side with a visit from the latest addition to the Ultimate Upland Team, Ida. 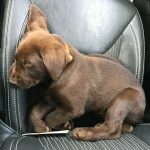 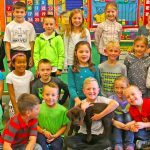 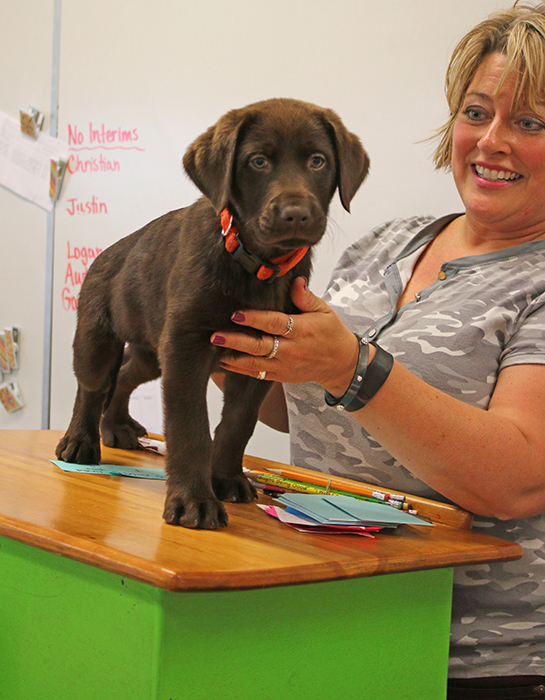 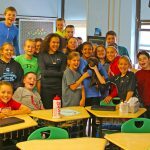 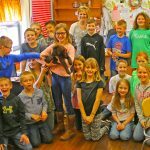 The nine-week-old chocolate lab puppy attended school to share the importance of socialization and enriched environments for brain development. 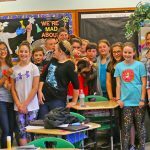 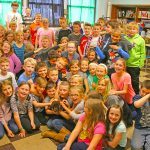 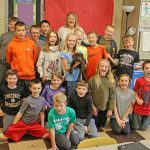 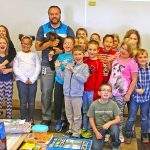 Brian Koch, founder of Ultimate Upland, also had the opportunity to talk to students about exploring public lands in the U.S. “Sharing this little bird dog puppy gives kids a different perspective about the ability to learn and soak up new information. 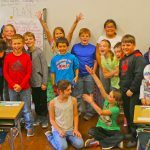 And we’re always happy to talk about the wild places across this country that offer exploration beyond what many children can believe. 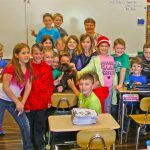 These lands are an invaluable resource and we want to get kids engaged and invested in their future,” Koch said. 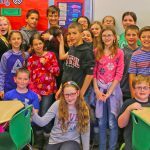 Stetson Wendling was the student who chaperoned Ida’s visit and helped introduce her to 345 new friends from grades one through five. 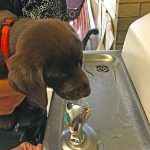 For each of these new friends made on this day $1 will be donated by Ultimate Upland to the Theodore Roosevelt Conservation Partnership (TRCP) as part of the ongoing #meetida campaign. 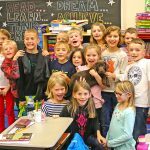 Ida and Koch will be crossing the country, making friends and sharing stories. 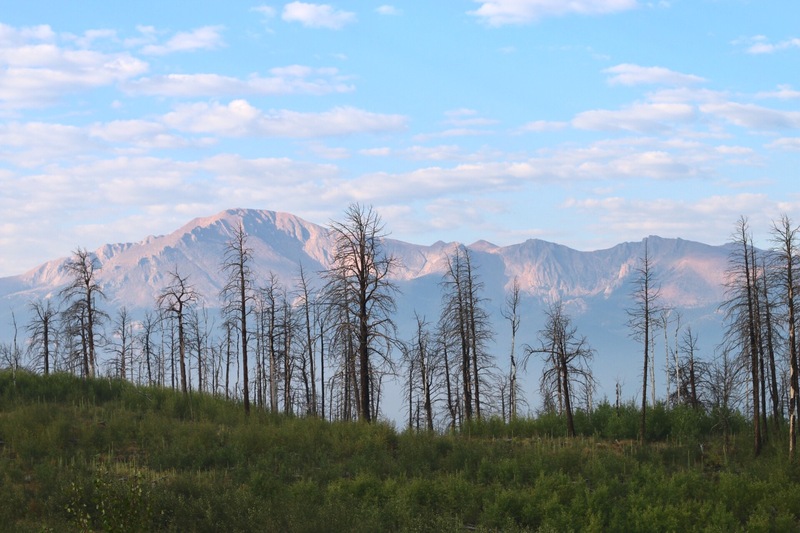 If you’d like to take part in preservation of public lands, click the link below to sign the petition and learn more. 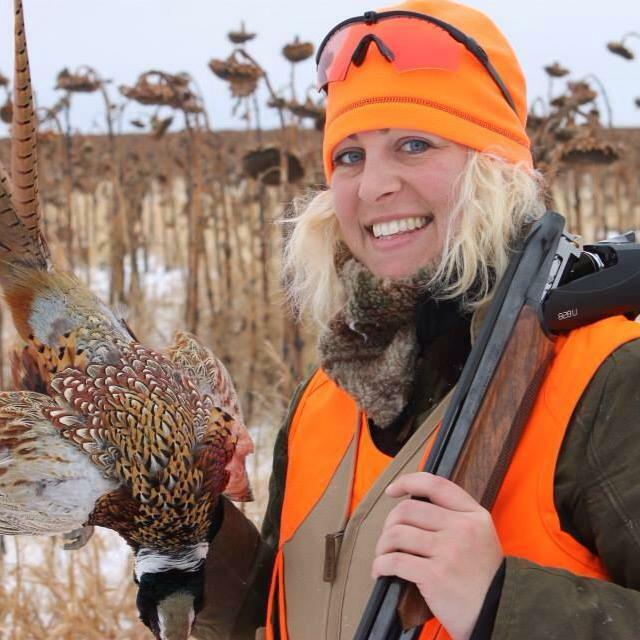 And be sure to follow Ultimate Upland on Instagram, Twitter and Facebook for all the latest updates.